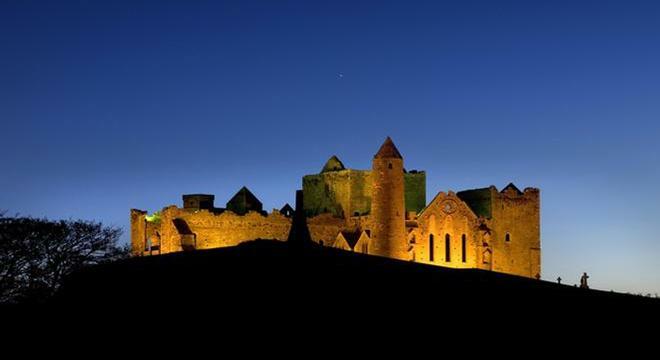 The Highlights of Ireland Tour allows you to discover Ireland's mystical landscape and explore its most famous sights. Enjoy this tour as either a 7, 8, 10, 12 or 14 night tour. The Highlights of Ireland Tour, our most sought after vacation, is a 7 night tour that can be started from any Irish Airport and is specifically tailored to include many of the most popular visitor attractions in the country. With attractions such as Trinity College and Kilmainham Gaol in the capital, Powerscourt House and the Waterford Crystal exhibition in the south east, Cobh heritage centre and of course Blarney Castle in the south as well as the dingle peninsula, Ring of kerry and Killarney in Kerry. 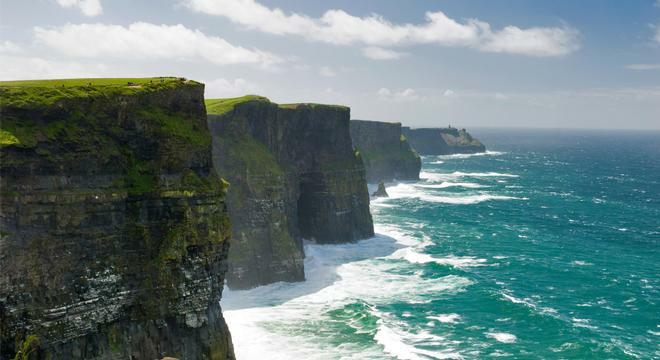 In Clare you'll visit the famous Cliffs of Moher and the Burren landscape. 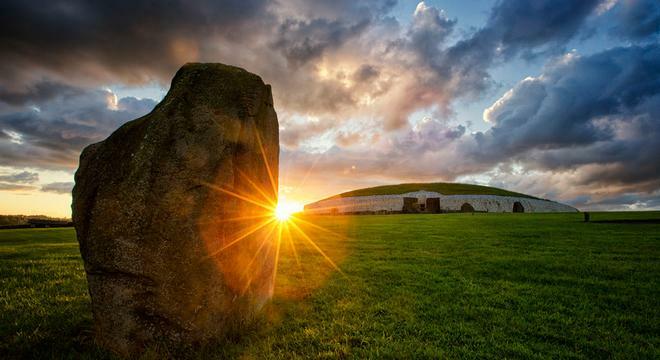 just above Clare is Galway, the Aran islands and Connemara and finally, just 45 minutes north of Dublin, you'll find the ancient Megalithic Tombs at Newgrange, Irelands most visited ancient attraction. Depending on where you fly into, the route taken will change accordingly. Although only a 7 night tour, the memories made whilst here will last a lifetime, from the incredible scenery, the culture and the people, this is vacation you'll never forget! Speaking of the people, as Irish we pride ourselves on being some of the friendliest and welcoming in the world and although Ireland is not a big country, you'll undoubtedly notice the differences in accents and dialects as you travel across it. Even though the Tour itinerary provided clearly shows how you will be able to pack as many of Irelands most historical and beautiful attractions into your stay, we advise you to take some time out to enjoy the people and culture, for the full Irish experience! This is merely a brief summary of the actual itinerary, the complete and detailed version of which will be provided upon booking the tour. birth to death. After the stud, you move on to Kilkenny, known as Irelands medieval capital. The city of Kilkenny was established more than 1500 years ago and is not too big to be explored on foot. It is home to such sights as Kilkenny Castle, dating back to the 12th century and Saint Canice's Cathedral, one of Irelands largest Cathedrals. Its gothic design ccomes as a result of the rebuild that it underwent in the 13th century.Also worth a visit is the Smithwick's Brewery Tour in the centre of the city. Cahir castle, just 10 miles down the road, this was once a significant stronghold of the Butler family and with its keep, tower and much of the defensive structures still intact. it is one of Irelands best preserved castles. Taking a slightly longer route to Killarney, you can visit Blarney Castle. Reaching Killarney, there are many options for you to consider. Killarney’s incredible Lakes and landscapes have inspired artists for centuries and amongst these is the Killarney national park with numerous beautifully scenic trails and walks. Other options include Ross castle, the Gap of Dunloe or simply enjoy the atmosphere in one of many traditional Irish pubs! parts of this tour. If a break from all the driving sounds good to you, a bus tour along this route can be organised for you. Along the Peninsula drive you'll arrive at Muckross House, a magnificent Victorian Mansion, which was finished in 1843. Set on the Eastern shore of Muckross lake and overlooked by the daunting Torc and Mangerton mountains, the house has a spectacular location and the walks surrounding it are unmissable. 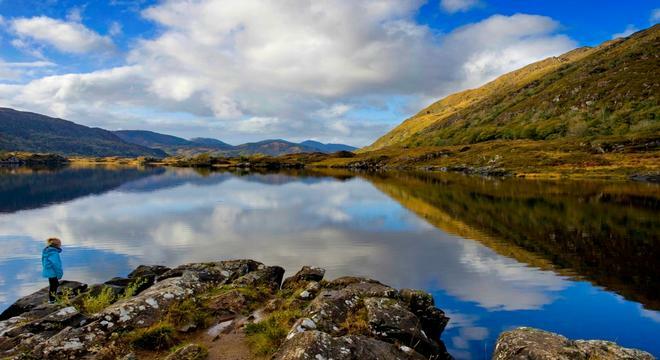 Another popular option for your third day would be a a tour of the Gap of Dunloe by pony and trap, stopping at Lord Brandon’s cottage for a bite to eat, then returning to Killarney by boat through the lakes! Heading along the west coast to Galway city, this day is sure to be one of the longest, but perhaps also one of the most rewarding days of your tour of Ireland. First up, Adare, one of Ireland’s prettiest villages and home to thatched cottages, a beautiful ancient church and Castle ruins. After Adare you take the N20 to Limerick City, home to King Johns Castle. Up next is Bunratty Castle, Originally built in 1425 and restored to its Medieval glory in 1954 - definitely worth a visit! Continuing along you get to the cliffs of Moher, one of Irelands most Iconic and breath taking views. After that its onwards to Doolin, a little village in Clare, world famous for its food, music and atmosphere. Finally you end the day in Galway, stopping to see the Burren Region and Poulnabrone Dolmen tombs along the way. Islands, some of the most isolated land in Ireland. Once there, you can take a Horse and trap un to the pre-Christian clifftop fort of Dun Aengus, a truly unbelievable sight. In the evening, we advise checking out the Quays area in Galway for some great Traditional Irish music! attraction. Heading south, next up is Dublin city. There’s a large number of walking tours to choose from in Dublin, some of the most popular being the "literary Pub crawl" and the "historical walking tour". We'd also advise the hop on hop off bus tour which stops at many of Dublin’s major attractions! For your last day in Dublin you will be continuing your sightseeing in Dublin with the chance to visit the Guinness Storehouse, the GPO Museum and Kilmaninham Gaol amongst other locations. Make sure to visit Christ church cathedral, founded in 1030 by Sitric, the king of Dublin at the time, not to mention the James Joyce Centre and Dublin Writers Museum. You may also want to do some shopping or visit one of many Irish pubs or cafes. the Temple bar area's streets are lined with pubs, restaurants and cafes to suit every taste. It's narrow cobble streets mean there’s always an amazing atmosphere in the area as well! Temple bar is also a great area for nightlife, if you want to have a few pints on your last night! Check out of your Hotel and bid farewell (for now) to Ireland! The Combination package includes 3 Nights in 3*** Hotels, 2 nights in Luxury Manor House Hotels & 2 Nights in our hand-picked B&B's. Your Accommodation & Car Rental Package rate includes an Economy class car eg., Opel Corsa or Fiat Punto.